Today’s apparel script features a new Greg Norman Play Dry Weatherknit Striped Golf Polo. 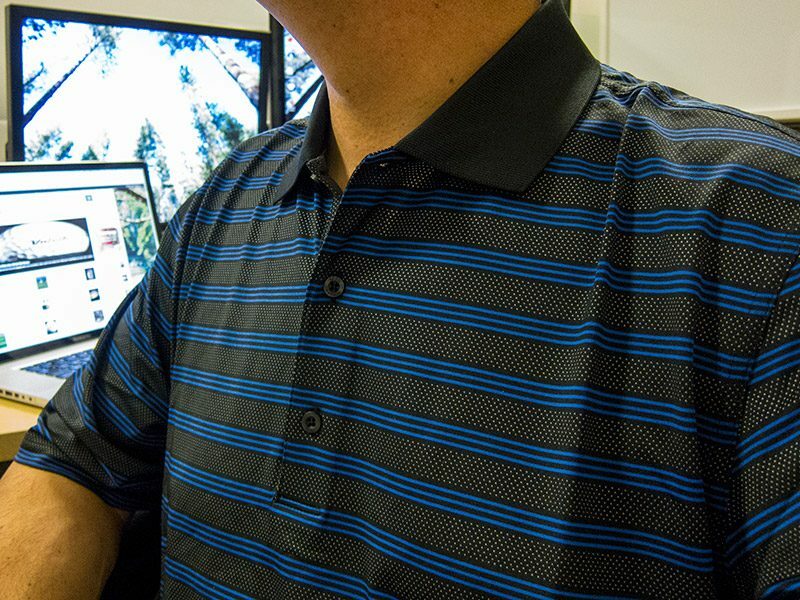 This is a sharp looking, affordable golf polo made that is very comfortable. This morning’s initial product testing will be in-office: mouse clicking, computer screen viewing, typing, walking to restroom, eating lunch (the toughest part of the morning battery). This afternoon’s testing will include 18 holes of golf, walking the course and hopefully carding a round in the low 70’s. After I’ve had enough testing time I’ll post a full review of this Greg Norman golf polo. Stay tuned.